I have read a lot of marriage books and this one was quite different. 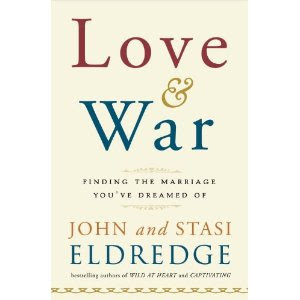 While I thoroughly enjoyed Willard F. Harley’s practical steps to a better marriage in Fall In Love Stay In Love and John Gottman’s critical analysis in The Marriage Clinic, John & Stasi Eldredge took me on a journey through the lessons they learned in their marriage and through the experiences of others. This wisdom is invaluable and the teachings of Titus 2 came to mind. 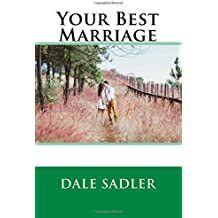 Eldredge & Eldredge did not say that “marriage is blissful if you just follow these steps,” but rather they laid it out in all its difficult and magnificent glory. It’s torrential and possible of great pain, but if used as God’s tool, it can forge you into the person and couple he wants you to be. As they tell it, marriage is a love story written within the confines of a war for the souls of mankind. I love this depiction of it because, as a Christian, this view of my relationships on this earth and how they relate to the hereafter give me an intense focus, spiritually. I see the scriptural lessons on the home in a new and deeper fashion. Also, the authors’ style and tone of writing press upon me the gravity of my job as husband and father. What didn’t I like about the book? First, I had a difficult time relating to their spiritual struggles in the last two chapters. I don’t want to be too critical because we are all different and my feelings on the matter are quite personal. I just disagree with some things as I don’t see spirituality in totally the same way that they do. Second, this book may or may not work for you. The Harley book I mentioned earlier is good because it can help people change their behavior; a necessity in many failing marriages. If your heart isn’t open, this book may do you little to no good. Third, you may not like the book if you disagree with their positions on manhood and womanhood. While I think it’s their strongest characteristic, many would disagree. Several reviewers speak of John & Stasi’s stereotypical view of these positions in the home, but stereotypes come from truth. I think they even admit at one point that not everyone sees it the same way they do. Although, I think the struggles they speak of are universal as they speak to the root of marital discord. So, even if it doesn’t look exactly like you, there are gems of thought that can bring healing to your marriage. Finally, I also don’t agree theologically with their prayer to receive Jesus Christ as your savior (page 212). While it is important to speak words like this and give your heart to Jesus, it takes more than this to become a Christian. Thanks for the great review. I will try to give you a call later today. I will have to get a copy of this soon.